Use tidal flows or rip tides and the Steer It Fishing mini planers to reach out further then ever possible before! 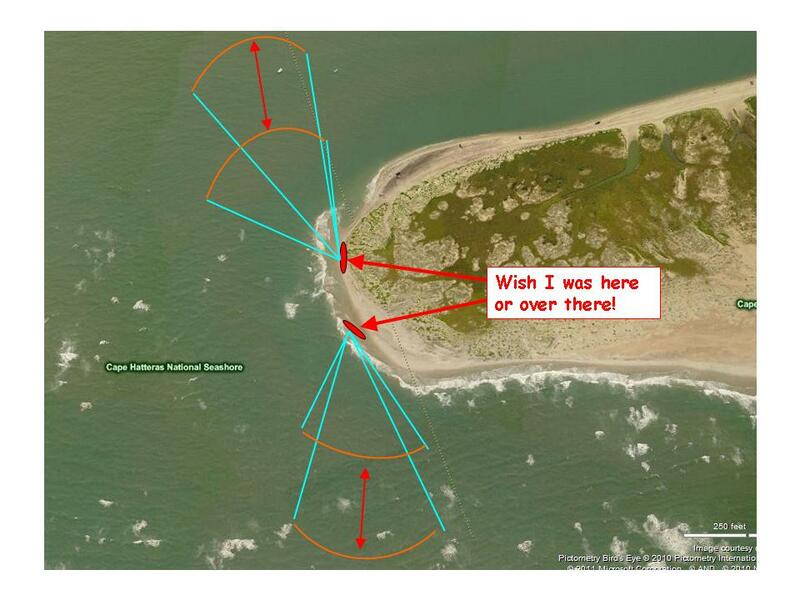 Tidal flows create many places you can use the current like a kite to ride out with an open bail. At this scale the long lines are out 150 yards. Predators will often be off to the side of the fast current waiting for bait fish to come in or out of a pass. If you can cast out far enough to get in the flow, you can free drift and steer as needed working them out to find the fish and get them to hit with side to side lure action. Tidal flows are continuously changing faster or slower and reversing that will require you to change your vantage point. This method also works from piers when wind creates flow that run down the beach. Anyhow, if you get tired of casting, try clipping on a Steer It Fishing float and zigzagging to get fish to strike!